Are you tired of never being able to find what you’re looking for in your cupboard? How often do you find that when you’re running late with no time to spare, that dress or shirt you were hoping to wear is lying in a crumpled heap at the back of your closet? And isn’t it annoying when you’ve got all those shoes but can’t find a matching pair? If this sounds like your life, then it’s time you organized that chaos! This needn’t be as daunting as it may sound by installing a closet organizer system you get a range of storage options for organizing all your clothing, shoes and accessories so in future everything should always be in the right place! 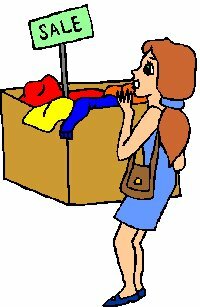 The first step in tackling a cluttered closet is simply to remove everything, and I do mean everything, from your closet, and then have as good clear out. You’re likely to uncover all kinds of dated outfits and clothes that are no longer your size, so be ruthless and throw these away or donate them to a charity. This should help you reduce the pile slightly, leaving you with clothes that you will actually wear again. Sort the remaining pile into some kind of order. For example, group all your dresses in one pile, shirts in another, trousers in another etc. You could go even further and group things according to season, color or occasion – whatever works best for you. This decluttering process enables you to make a fresh start and to see exactly what you need to find a home for in your closet. At this stage it can be helpful to get a pencil and paper and draw out a sketch of your closet, taking accurate measurements of the space available. Look at your sorted piles and work out how much of each type of storage space you’ll need. For instance, if you have lots of long slacks, dresses or overcoats, you’ll require plenty of long hanging space. However, if a large proportion of your clothes are shorter things like shirts, blouses, skirts or folded pants, you could maximize the space in your closet by installing double hanging rods, one above the other. For organizing smaller items such as socks and underwear, decide whether you’d like to install some drawers or shelving, or a combination of both and of course, don’t forget to include a section in your bedroom closet organizer system for all those shoes! Most bedroom closet organizers include shoe cubbies or a shoe rack. 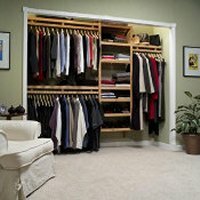 Once you’ve drawn out your plan and can visualize exactly how you want your organized closet to look, it’s time to go shopping and browse a selection of closet organizers to find a design that meets all your needs. Here you can focus on looks as well as function, as closet organizers come in a variety of colors and finishes. Select something that will look good and coordinate with the style of your closet, as well as meeting your storage needs. Once you’ve made your decision and purchased your new closet organizer, it’s time to install it. 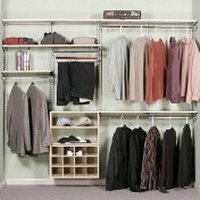 Most closet organizers come with adjustable features, such as shelving, so you can adapt your organizer system to your needs. Once fitted, the organizing really begins, and you can carefully organize all your belongings into neat sections, so you should always be able to find what you’re looking for in an instant. There should be no excuse for a messy closet after this!